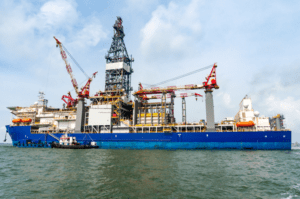 Simmons and Fletcher, P.C., wants to help you and your family if you or a loved one has been injured aboard a drill ship. We have successfully represented hard-working families throughout the Gulf Coast. We have comprehensive experience with Jones Act cases and we are endeavored to bring your family the justice and compensation they deserve. Work on drill ships can be tough and demanding, as well as dangerous. Malfunctioning equipment and heavy gear can sometimes be a recipe for disaster. Drillers can be injured by falling objects, pipe, faulty pumps, and tongs. Some crew members can suffer burns, back and neck trauma, or even amputation performing their duties. Our experienced lawyers know how to evaluate your offshore injury and bring a fair settlement to you and your family. Under the Jones Act, you are entitled to receive what is known as maintenance and cure benefits. That is your employer must pay for the cost to maintain housing and for your medical care when you are injured while aboard a vessel until you are fit for duty or you have reached maximum medical improvement. Furthermore, if your employer was negligent, it can also provide compensation for pain and suffering and other economic and non-economic losses suffered due to your injury. Simmons and Fletcher, P.C., is prepared to go to battle for you with maritime legal experience and integrity based on ethical Christian Values. We will help you through this difficult time and ensure that you are treated fairly. Call us today for a free consultation: 713-932-0777 or 1-800-298-0111.